Many times you must have wanted to retrieve a file from your computer while you are away from your computer. Now instead of running back to the machine, you can remotely access computer from android device. 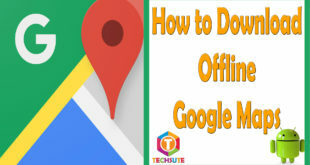 You would just need to install some applications on your android device and then you could have full control over your computer from anywhere. 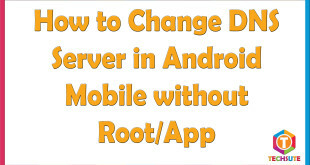 It can prove to be very useful in providing on-site tech support to your family and friends, transferring file from your computer to the android device and vice versa, using particular software and many more. Realise the great amount of time you save in attending the machine personally. Read on to know more about such applications and how you can do it. You can use this for personal as well as commercial use in professional environment. You can access all the programs, play games and enjoy the music and video libraries, whatever format they are in. This app works best with dual core CPU. Requirements include Windows XP, vista, 7, 8 or Mac OS 10.6+. 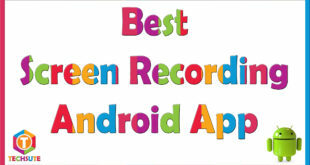 Install and start this app on your android device. Install and start the full version on your computer. In the TeamViewer interface on your android, enter our computer’s TeamViewer ID and password. Access your documents and edit it or reboot your computer while you are on the road. Additional feature is that the app works during the phone call. Complete keyboard control including special keys. Available as free and paid app. Stress-free access to your computers with minimal setup. Supported platforms include: android 2.1 or later; windows XP, vista, 7 or 8; Mac OSX 10.6 or 10.7. Also works with 4G and 3G networks. 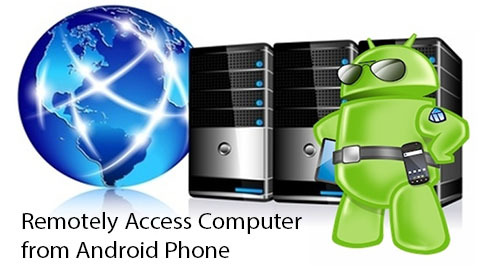 With these apps you can remotely access computer from android devices from across the globe. Now help a friend with computer related problems, grab a forgotten report, listen to the playlists saved in your PC or reboot it without having to take your laptop anywhere you go.